Another big reason why organizations stagnate is that they often fail to see what is right in front of them. In our client's case, his business environment was shifting. Old distribution channels were shrinking. Contractors had cut distributors out of the supply chain. Consumers had found better prices on the internet and were passing him by. And with product life cycles continually shortening, his competitors were repurposing and improving upon his products before he had time to react. A host of changes were happening all around him but he couldn't "see" them. If you can’t change, you risk becoming antiquated. As a corporate anthropologist and certified Blue Ocean Strategy® practitioner, I’ve seen similar struggles among other clients, across all industries. For otherwise successful business leaders, change is literally pain, as growing research from the neurosciences and cognitive sciences reveals. Case in point: In 2009, Steve McKee published a book, “When Growth Stalls,” in which he notes that 41.2% of the nearly 5,700 companies he studied had stalled in the previous decade. The reasons why are sobering, namely: a failure to focus, no competitive point of difference, and weak brand images and identities, to name just a few. Habits are powerful and efficient. As you mature, your brain creates a mind map that sorts reality into a perceptual order and creates effective, well-established habits. The result is that your brain conforms any new information to match past perceptions, which in effect, keeps you from seeing things in fresh ways. In order to change, you need to “see and feel” new ways of doing things, not just read about them. Experiential learning is critical. As you learn, your brain actually changes, reflecting new decisions, mind maps, and reality sorting. As soon as a new challenge presents itself, your brain will want to hijack the unfamiliar thought patterns. Don't let it! This is why it’s so difficult for CEOs, division managers or even employees to realize that limitations to growth are really self-imposed by their mind maps of former business successes. Their past perceptions very powerfully limit what they “see” in the present. Get out of the office. Venture out into the world. Stop going to your industry’s trade shows; instead, see what other industries are doing. Rather than focusing on current market segments, look at new ones. Go exploring. I take my clients to uncover unmet needs among current customers. 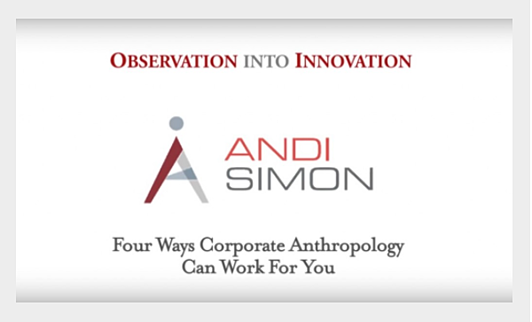 Transformed into amateur anthropologists, they spend a day in the life of their customer, or noncustomer (think "Undercover Boss"). Shadowing these consumers, clients watch how they do their jobs, listen to their pain points, and come up with new solutions to nagging consumer problems. Build an innovative culture. This is really important. Each time I conduct a workshop with CEOs, I ask how many of them have innovative companies. They all raise their hands. When I ask what’s innovative at their companies, all hands go down. It’s a big leap from thinking you’re innovative to being innovative. Remember, change is threatening. Building a culture of innovation means creating a methodology for encouraging the free exchange of ideas, which ultimately turns "good thoughts" into actions and measurable results. If you truly want to "see, feel and think" in new ways, you have to fight your brain’s desire to stay put. To ignite change, you need to do it yourself first. You need to recognize that new ideas come from trying new solutions and changing your own brain’s focus. Then you can roll out the rest of the plan to your company. When you yourself boldly embrace change, you will have an epiphany that’s nothing less than amazing. And, your staff are much more likely to then follow your lead. 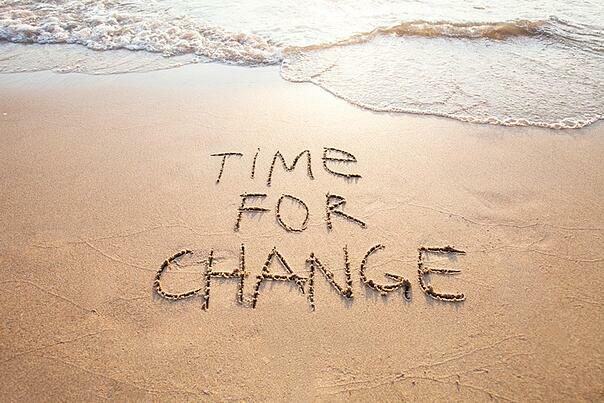 Ready for change? Here's a short video to get you started. Instead of fighting change and making it more painful than it needs to be, follow the 4 steps in this quick 7-minute video and learn how to to turn the undesirable into highly desirable processes and behaviors (click on the image below). Then let me know how the steps worked for you on your journey of change. Wish your company was growing? Contact us. At SAMC, we specialize in helping organizations of all sizes realign their business models in order to achieve measurable and lasting growth. For a free consultation on how we might be of help to your organization, please contact us. We'd love to hear from you!